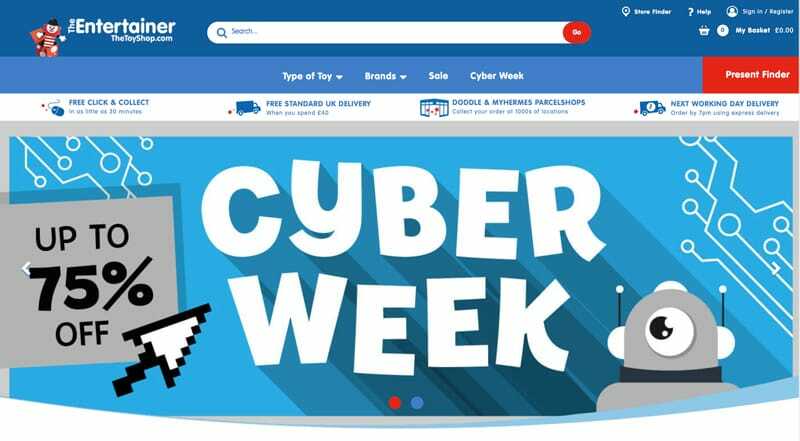 The Cyber Week deals on toys won’t slow down after Black Friday weekend, which is due to the Christmas build-up and looking for kids main presents, or even stocking fillers. The Entertainer has you covered, as there’s some impressive toy deals up to 75% off in their Cyber Week sale. There’s a number of stand-out reductions like the Play-Doh Celebration 60 Anniversary Set that comes with 60 Pods, this pack is reduced from £39.99 to just £14.99 at the time of publication. Also, you’ll find Star Wars action figures reduced and lots more with over 160 deals. Well worth a dig through while this sale is on, see all the deals online at The Entertainer.